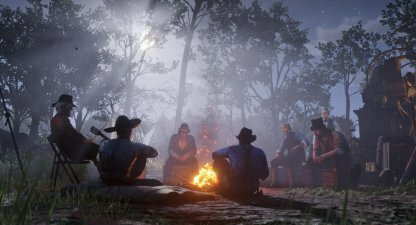 Here are all the available and recommended camp upgrades in RDR2. Improve the quality of living in you camp by buying upgrades to keep supplies, & morale up! What Can You Do In Camp? 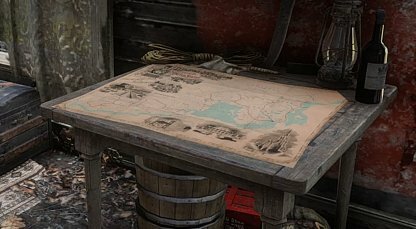 You will be able to upgrade your camp via the ledger. 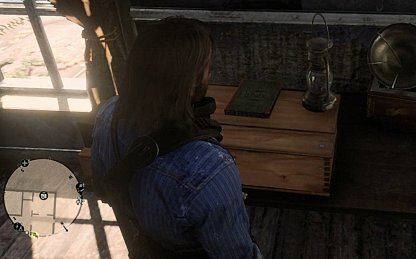 The ledger can be found near Dutch's Tent or in his room depending on which camp you are on. It is marked by a square with a "$" on it. Upgrading the camp will require you to pony up some cash. 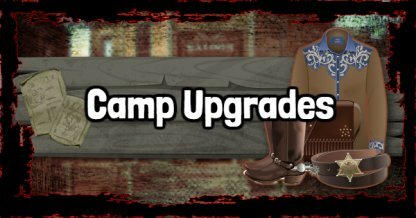 So before upgrading the camp, make sure that you have enough money for the upgrade that you want to purchase! What Can You Upgrade In Camp? There are three main aspects in the camp which you will need to keep in check, these are: medicine, provisions, and food. Upgrading these in camp will keep supplies up to sustain your camp! Medicine will keep you and other people healthy. 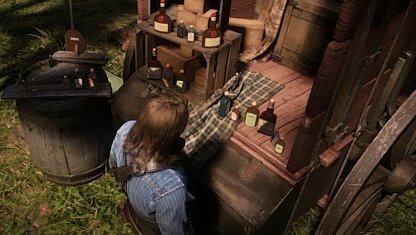 Buying upgrades for medicine will fill Strauss's wagon with tonics, health cures, and more medicine which you can use to restore your health, stamina or Dead Eye bars! Provisions will help keep the members of the camp from starving. 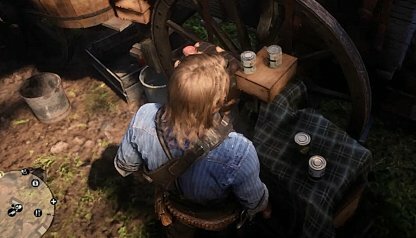 Upgrading Pearson's wagon will eventually give you options to choose from bread and biscuits, to fresh fruit and canned goods to restore your cores! 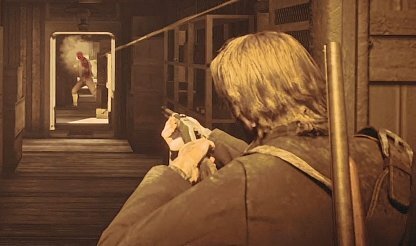 Having a good supply for ammo will help you arm yourselves for the wild, wild west! Upgrading Arthur's wagon will give you a variety of bullets to keep your guns fully loaded when facing against enemies! The Next In Line upgrade will unlock the fast travel feature, but only to places you have visited. This allows you to skip long journeys to different locations you discovered, saving you time, and letting you do more activities! 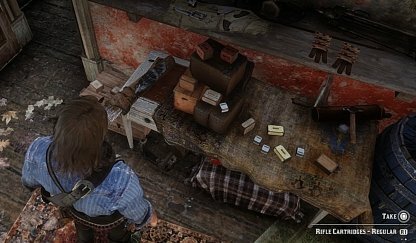 Upgrading the three main aspects in your camp will let you keep yourself stocked with food, bullets, and medicine for your travels in the game. 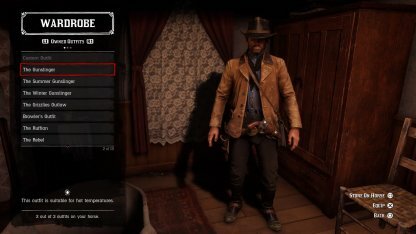 This will let Pearson help you craft different Satchel Upgrades to help you carry more items. 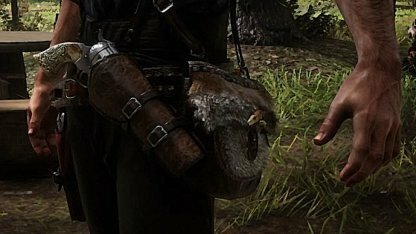 Remember that besides giving Pearson the leather working tools, you will also need to give him different animal pelts to work with. Investing in a Chicken Coop will grant you a Dead Eye boost whenever you consume the camp's stew. This will help you in a lot of combat sequences in different missions of the game! The Camp will be Arthur's and the Van der Linde Gang's main place to rest, relax, plan heists, and more. As most of the gang will be spending their time here, it would be best to fix it up, and improve living conditions for the group. Sometimes, you will need to accompany other members on a task they need to do. 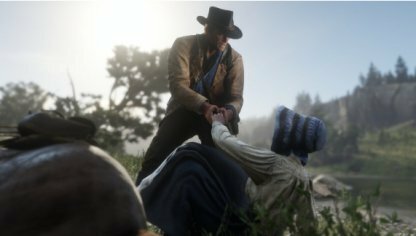 These Companion Missions will help you earn honor, and keep good relations with the rest of the gang. In some parts of the game, when a member has returned from a long absence, the gang will celebrate their return with a big welcome back party! 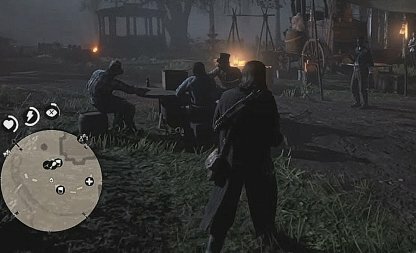 You can play cards, sing songs, and even drink with the gang. Changing clothes will help you stay cool or keep warm depending on the weather. Wearing the appropriate clothes for the climate will help keep your Stamina Core from depleting rapidly! The Camp will be available to you once you complete the Story Mission: Eastward Bound. This mission will start Chapter 2, starting you off in your newly set up camp! The Camp will not be accessible anymore after the Chapter 6 of the main storyline. Instead, your new home will be a ranch near Blackwater. You will not be able to buy upgrades for the house anymore.